I use a set of steps for many different functions in the shop, from a little stool to a boost when I need to reach a tall project. 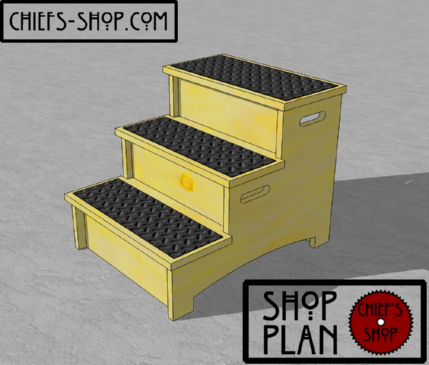 The Chief’s Shop Shop Steps project is perfect for these needs. There are even a couple of shelves in the back for a bit of storage.